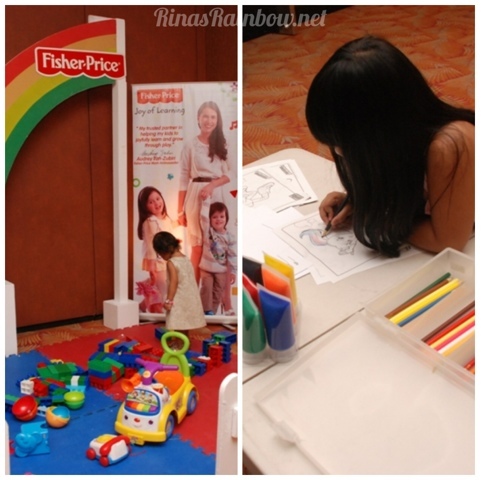 Rina's Rainbow: Fisher-Price: Joy of Learning! The great thing about Carrie Lupoli is that everything she reads and learns through her research, she graciously shares with everyone. And for that I am very thankful. Because after the Joy of Learning Workshop, I finally got my parenting GPS fixed and am now heading in the right direction! So just as she reads all parenting books, sums it up and shares it with everyone. 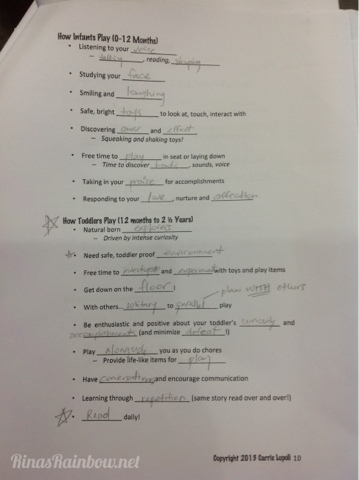 I plan to do the same by sharing here what I learned and my experience from the Fisher-Price Joy of Learning Workshop! 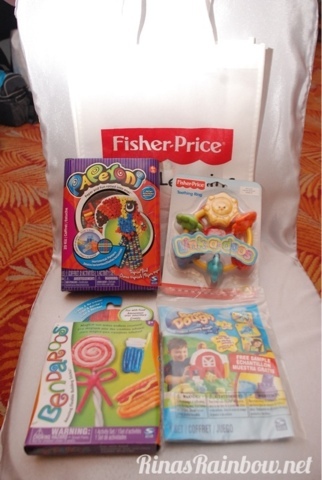 Upon registration, we were all given a tote bag with some art toys and a Fisher-Price toy. Awesome! But the most important part of the tote bag was the folder. With other events, it would usually contain a press release, facts about the company, and other brochures or pamphlets. But I was surprised when I opened this folder and saw around 20 or so activity sheets and lots of texts for the workshop. I really felt like I was back in school. But this time, a parenting school. I heaved a sigh of relief. It’s funny that with just these pieces of paper, I already felt like I was seeing the light at the end of a dark tunnel. 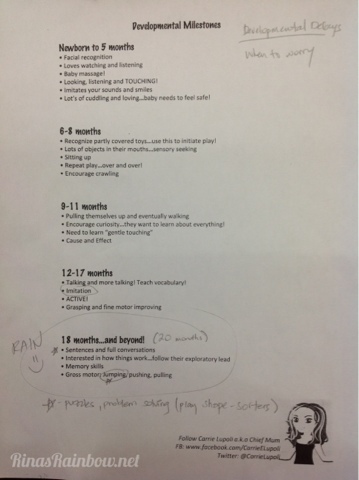 Before this workshop, I was at a loss on what things I should be teaching Rain to make her smart. 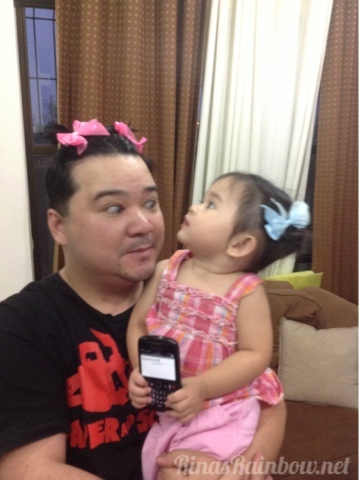 What things to teach her at her age that will make her smart now. 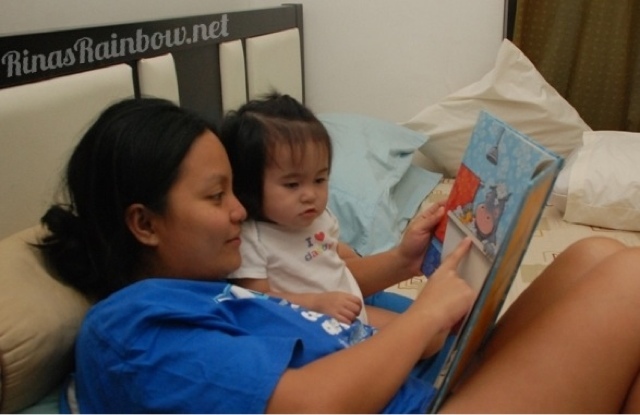 I was so focused on teaching Rain her ABCs and 123s even though I knew it didn’t really make sense to her yet. I was hoping that with a good amount of repetition, she would familiarize herself with it, and that would make her smart, and that would be enough. I was so worried that I wasn’t an effective teacher. 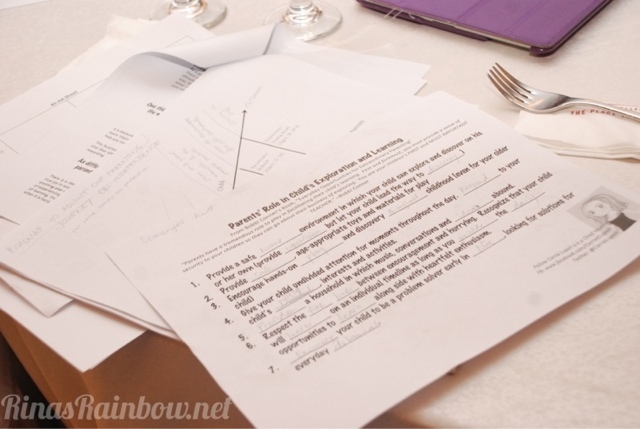 Did I need to have a crash course in teaching? It was putting so much stress on myself. 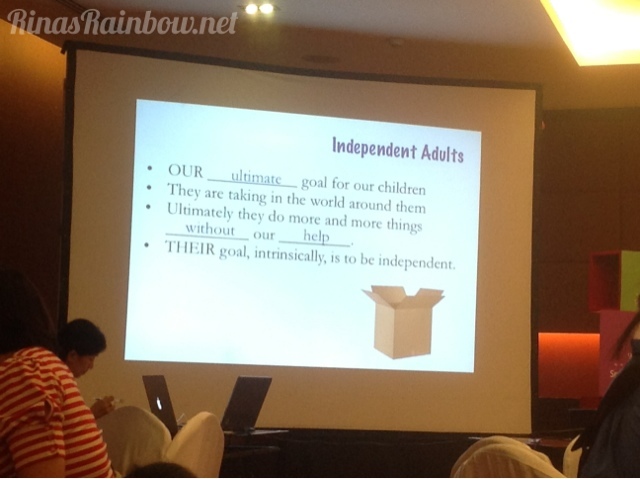 But what this workshop taught me was for me as a parent to have a goal. I was just thinking about the “now” part. I was focused on teaching her ABCs and 123s. Teaching her how to say words. FPJOL gave me a bigger perspective that I need to teach my child the things I want her to take with her when she leaves my arms and out into the real world. In short, I am teaching her skills to be independent. I want to teach her how to deal with life. I want to make sure she'll be alright when Richie and I are no longer around. That made so much sense and at the same time scared the heck out of me. Thinking about it, maybe I don't really need to stress myself about ABCs and 123s. in time she will eventually memorize them. but first I want to make sure Rain learns the basic skills in dealing with the real challenges like problems, stress, defeat, success, sorrow, etc. when they go out in the world on their own. What we need to be sharpening instead, especially during the early years of 0-5 years old, is their character and cognitive skills. Sounds hard, I know. How exactly can I do this? And the answer is through interactive joyful learning a.k.a PLAY! Now that’s something every mom can do, right? "Through play, children learn about themselves and others, about how things work and about the world around them. And every play experience helps prepare them for school." Carrie shares that there have been actual scientific studies showing that the success of a child doesn’t not really depend on IQ. It depends on Characteristics and Cognitive skills. So it’s important that we do a lot of interactive playing with our child within the first 5 years of a child’s life, because that is when the most significant growth and development occur in a human. The brain stabilizes at the age of 6. Rain playing on a jumparoo at 6 months. Practicing jumping! Our babies already start learning as early as they are in our wombs. When they start kicking or even just fiddling with their toes inside our tummies, that’s actually a mili-step towards learning how to walk. The same time a simply toy that lights when a button is pushed teaches a child that her actions can make a huge change in his life. So when we miss a window of opportunity to teach our child, it may be too late. How do we start? 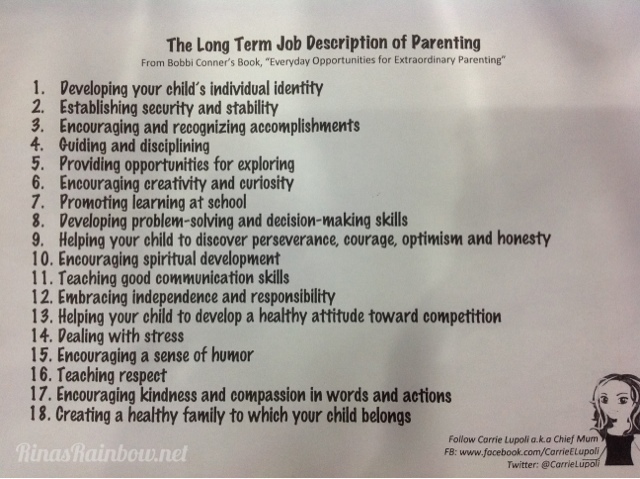 We start by first identifying what our child needs to be learning at a certain age. Now that I have a guide, it will be so much easier to organize my chaotic thoughts on what I need to be focused on with Rain now. At Rain’s age (19 months), she’s a natural explorer. I should allow her to investigate and experiment on toys. Play mats come in handy as I need to get down on the floor to play with her. She needs to be playing with other kids (interacting, and not just playing with their own toys side by side). I should be having conversations with her to practice her speaking skills, let her play with life-like items as I do my chores, etc. 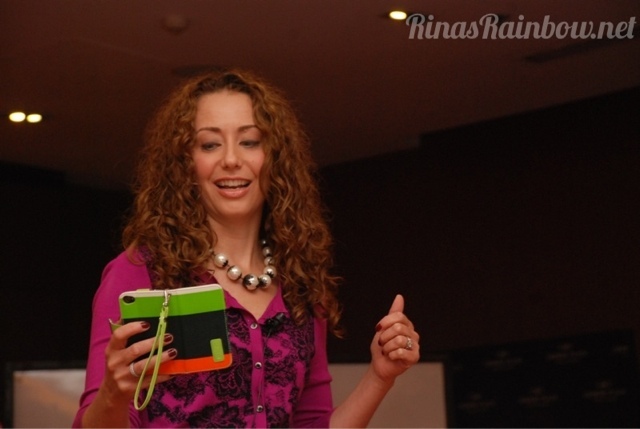 And when she does something right, or shows a new trick, always show enthusiasm. Kids love that! It will make them want to do more! 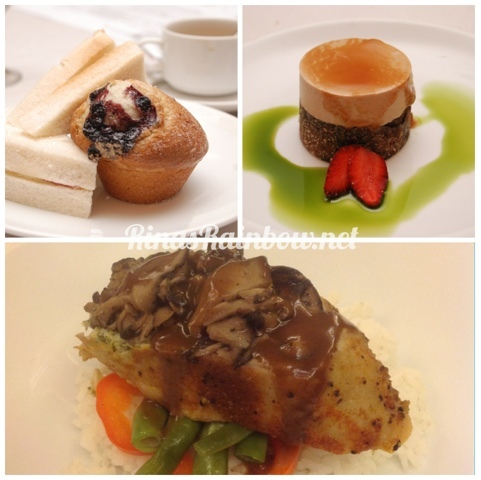 Don’t you think these are things that a mom can easily do? Most definitely! Carrie showing a photo of her precious princesses! 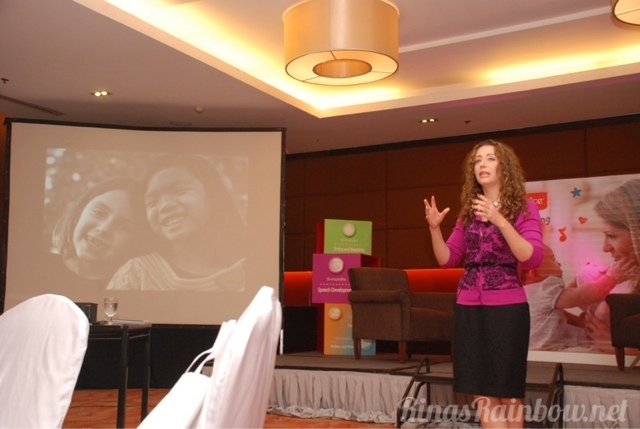 For office working moms, you may feel that playing with your kids are hard to do especially when you have a 9-5 job. Carrie has a full time job as well. But her strategy is she makes it a point to schedule focused play times with her 2 little girls. She suggests to schedule a play time with your child like you would schedule a meeting. We need to give as much respect to our play appointment as much as we respect our real work meetings. Carrie adds “Play is not trivial. When children play, they’re doing IMPORTANT WORK.” Let’s not take playing for granted. Dads can play as princesses, or have a tea party with their daughters. Let your children lead the play. When we play with our children, let's turn off smart phones or tablets. Or just put them away. There’s so much to learn but I hope I was able to highlight the key points in this entry. 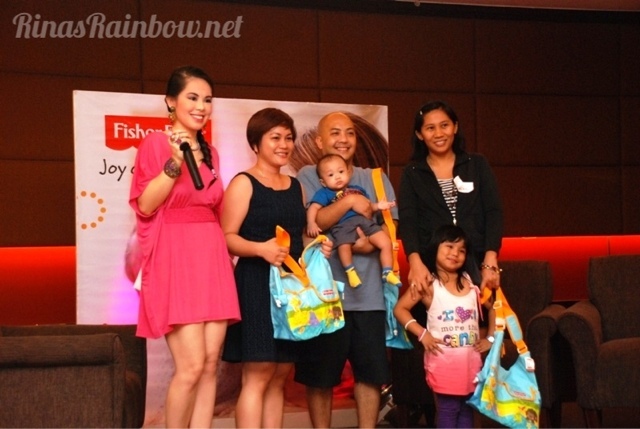 Being able to attend the Fisher-Price Workshop was really a big eye-opener to me. (Thank you Mommy Glaiza!) 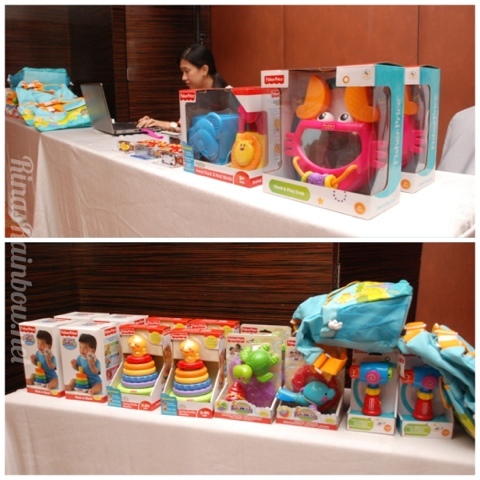 and of course, thank you to Fisher-Price for organizing this workshop, and most importantly, thank you to Carrie Lupoli a.k.a “Chief Mum” for sharing your knowledge with us!!! I strongly encourage you to follow her blog and follow her on Facebook (CarrieELupoli) and Twitter (2CarrieLupoli) and continue learning with her!